Images and artwork © copyright 2004 the artists. Please send caption corrections to yo@graffiti.org . Mention Taiwan 6. 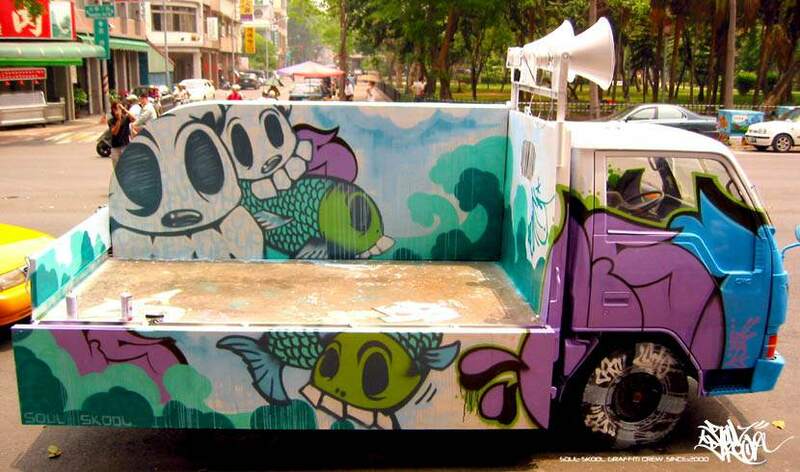 Since the year 2000, Soul Skool has been involved with the Taiwan graffiti and graphic design scenes. 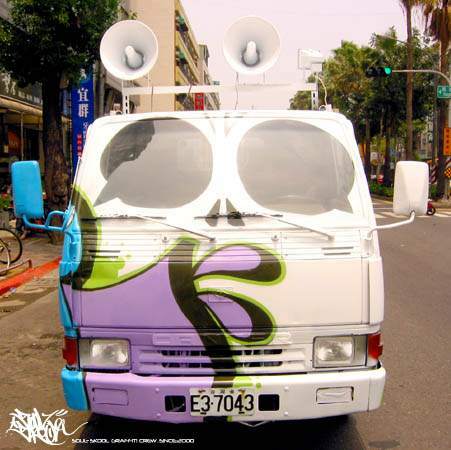 Soul Skool is composed of the artists Reach, Easy, Jerry, and D.Z.U.S, Bobo, Idiot, V jer, 2 ice, Jarvis, Mio, as well as a number of other graffiti artists from around Taiwan. 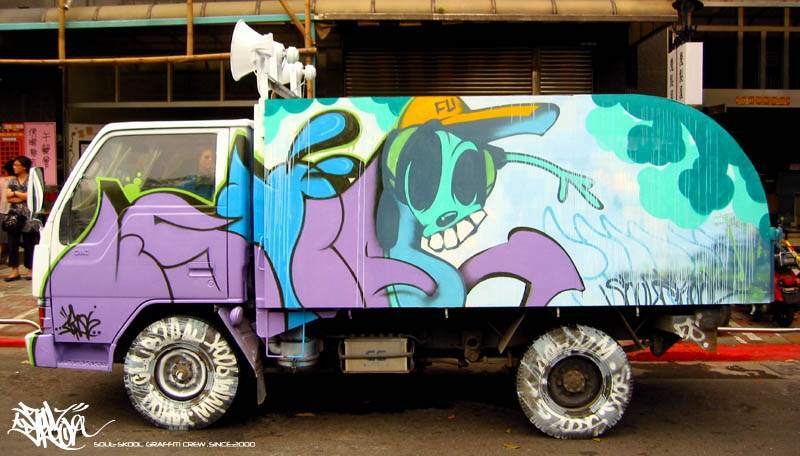 The crew first began to paint graffiti murals in Kaohsiung and then moved on to spray large graf productions on walls in every city in Taiwan. Soul Skool is now well known throughout the country thanks to the support of the growing hip hop scene. Soul Skool is currently the largest and most respected graffiti crew in Taiwan and is developing its skills to a level of international appeal. Soul Skool is eager to work with other international artists in locations around the world.